All Etlan homes currently listed for sale in Etlan as of 04/22/2019 are shown below. You can change the search criteria at any time by pressing the 'Change Search' button below. If you have any questions or you would like more information about any Etlan homes for sale or other Etlan real estate, please contact us and one of our knowledgeable Etlan REALTORS® would be pleased to assist you. "Spectacular custom contemporary circular shaped home on 1.4 acres with 360-degree views of the mountains loaded custom and dramatic architectural details near Graves Mountain and Old Rag. The perfect weekend retreat or full-time home with privacy and serenity less than 3 hours from DC and within miles of the Shenandoah National Park, hiking, rivers, trout fishing and more. This awe-inspiring home features beautiful professionally designed hardscape and landscaping that is drought tolerant and deer resistant. The garden areas include a registered butterfly garden. The contemporary decks face the mountainside for wildlife viewing. This home was built with energy efficiency and low maintenance in mind with steel siding and roof, possible one level living and oriented for passive solar efficiency as the round shape of the home manages the wind and creates extreme utility savings for this all electric home! This home has 4 finished levels and has 4 Bi-Level Ductless Mitsubishi heat/air units so that rooms/spaces can be individually maintained for peak heating/cooling efficiency. Enter the stunning open foyer with 180-degree views floor to ceiling and walls of windows opening to a sitting area to the left and the great room to the right with living and dining areas. The upgraded gourmet kitchen features high end Dacora cherry cabinets, granite countertops, stainless steel farmhouse sink and energy efficient LG appliances including double oven range and a wet bar, perfect for entertaining family and friends! A large walk in pantry and laundry room adds convenience. Main level also features a custom half bath and master bedroom with private balcony, double closets, and custom master bath with frameless Roman ultra-shower. Ascend the open staircase to the upper level with an open game area/overlook, a guest bedroom and private office/bedroom sharing a well-appointed bath with rain shower. An Iron Works spiral staircase leads to the 4th level loft/Clerestory room with a ton o"
"VANDER HOLLOW - is a perfect Country Retreat to Get Away from the Hustle and Bustle of City Life. Located near the Village of Etlan on a designated scenic by-way in Madison County. this 1,952 square feet of finished living space, 2 bedroom, 1 bath home with a loft located on 8.0619+- acres. Built in 1935 this Cedar Siding home that has many upgrades. Renovated in 1992-1984 and 2019 (All new plumbing in kitchen and bathroom 1994, 2014 & 2019; all new electrical wiring, panel box and insulation in 1993). Vaulted knotty Pine ceilings, cedar log walls and hardwood Oak flooring. Lower level kitchen with exposed Oak beam ceiling. Wonderful views from the three covered porches and a covered patio area off lower level. In the past this property has been an Air BNB. Attached you will find several documents with information regarding some of the reclaimed materials as well as data from past Air BNB. Come and enjoy the peace and quiet of country living out next the pond and enjoy that mountain view." "Enjoy sweeping views of Old Rag Mountain in the Shenandoah National Park from this 3 bedroom, 2 bath country home with a partial unfinished walkout basement. The home features a sun-filled great room, master bedroom and bath, hardwood floors, oil heat pump, Anderson windows, vinyl siding, and a wrap around deck; perfect for entertaining. The land is comprised of two parcels. 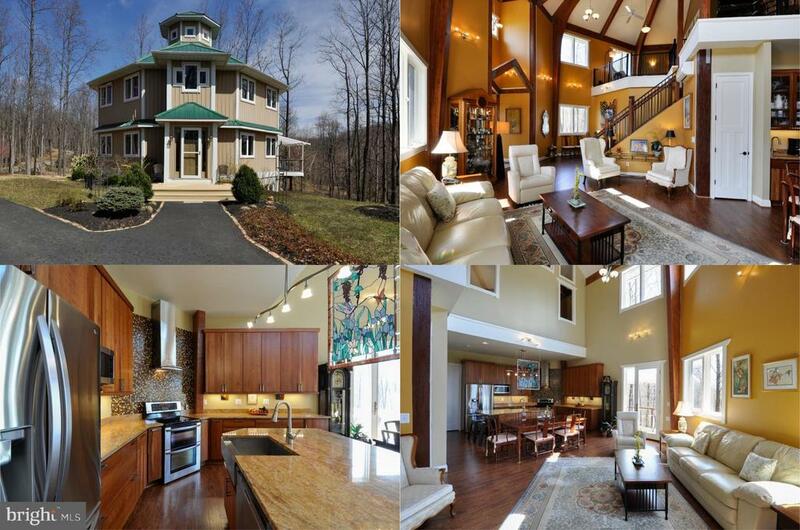 The home is situated on 1.986+- acres and there is an adjoining 10.084+- acre wooded parcel with beautiful views. 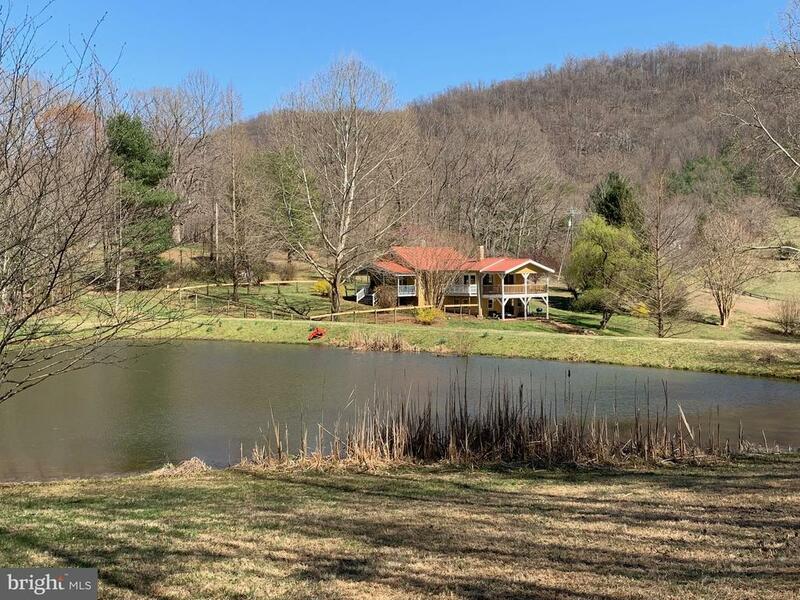 The property is located within a few minutes of Old Rag Mountain & White Oak Canyon hiking trails, famous trout streams, Ducard Winery and Vineyard and Graves Mountain Lodge. 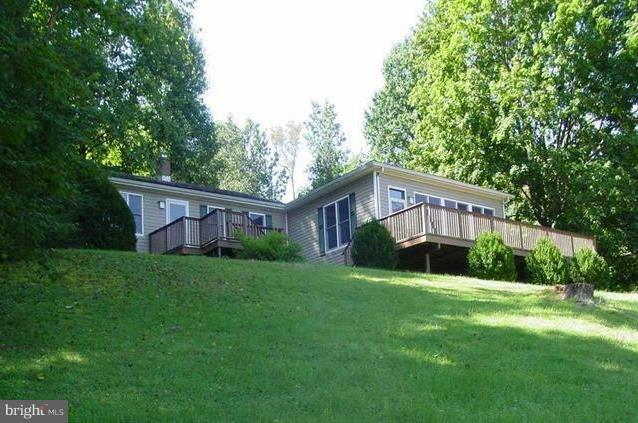 This special property has all the makings of a true county retreat!"